School of Traffic Engineering, Huaiyin Insititute of Technology, Huai’an 223003, P.R. China. China FSAE race introduced formula racing gradually in the university campus in order to make FSAE racing have better ride comfort, handling and stability. Design and strength analysis of FSAE suspension were also proposed. Firstly, according to the whole layout of FSAE racing, the suspension mode was selected, both front and rear suspension were unequal push rod type double wishbone independent suspensions. Secondly, the main parameters and the orientation structure of the front and rear suspension were preliminarily designed. The wheels alignment parameters were selected with all kinds of stiffness, damping coefficient, followed by cross arm length calculation. According to the design parameters, suitable rim and shock absorber were chosen to determine the structure of the suspension’s main components . Thirdly, the front and rear suspension models were set up by the SolidWorks 3D software. Finally, the analysis of static stress on the main components of FSAE racing using the simulation module was performed to form the car suspension system so that it meets the design requirements of the FSAE regulations. 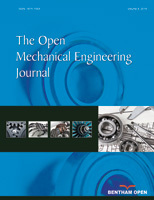 This paper could provide references for the real vehicle development.